With the rise of casual workplaces and startups, a business suit isn’t the only right option for today’s work day — but it’s never wrong for an interview, whether it’s for a job or professional school. 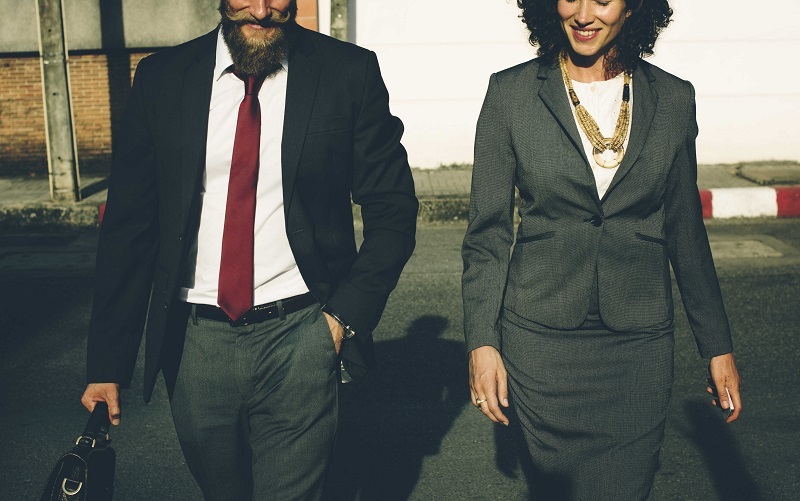 Here are some guidelines for both men and women on how to leave a positive impression when it comes to interviewing attire. Remember, first impressions in that first thirty seconds are about the interviewer trying to picture you in the position — and just like how you answer interview questions won’t be the only thing that gets you the job, they are a potentially quick way to take yourself out of contention with your appearance. Your answers to interview questions are the only statements necessary, not what your fashion sense says about you. A general rule to follow is to dress two levels above the position you’re interviewing for and to avoid risky fashion decisions. Interviewers spend about as much time to decide that they don’t want you as they did skimming your resume (six seconds) — they need the whole interview to decide that they do want you. You may not have to dress like this every day, but you are more likely to be taken seriously when you present yourself in a professional manner and take the time to attend to details. Try asking whomever it is that calls you what the interview attire is — if they’re noncommittal, you may even call the front desk or reception area and ask. If they say anything other than “no one gives a wet fart what you wear”, then wear a suit. But if they do say that, then men should always wear a jacket, even if it has no tie, and women should always wear a sharp blouse, preferably with a collar. Show them that you know how to play the game. Show them who’s boss, or will be. If you’re thinking of rocking that three-piece from your high school graduation, maybe don’t. If it feels bold, don’t do it — the value of showing fashion isn’t worth the risk of standing out in the wrong way. Get it tailored — a good fit is more important than an expensive suit. Don’t mix and match patterns — no polka-dot shirts with striped ties.